The Mk. IX Spitfire is widely considered amongst historians, and those that flew them, as the ultimate of the breed. Born out of necessity, and rushed into production, it was the right airplane, at the right time. A superb example, this award-winning SNJ looks ready for war! Norm Ellickson’s dedication to preserving aviation history is exemplary, and his accomplishments in that field are many. 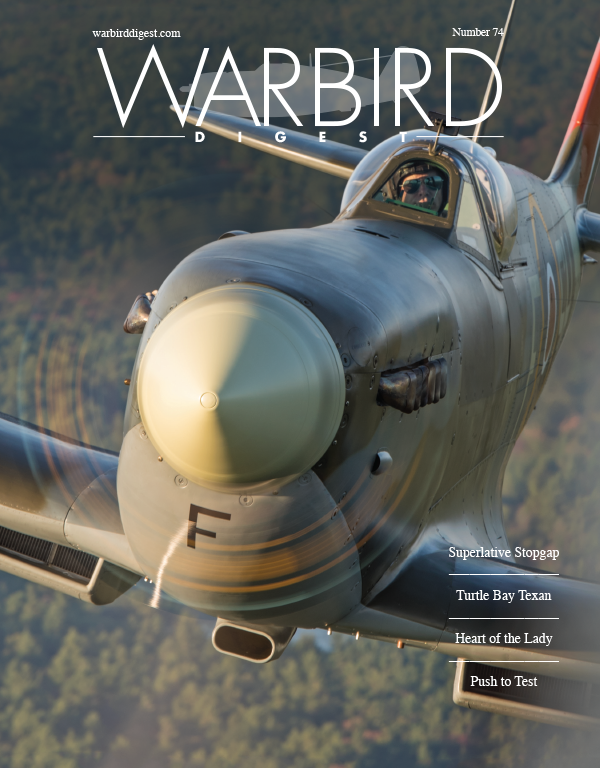 Warbird Digest is honored to bring you his story. Though built in larger numbers than any other combat type in history, relatively few Il-2 Shturmoviks survive, and only two are capable of flight. We take a detailed look at Red 19, the most recent restoration, now flying in the skies of its Motherland. We go in the cockpit to show you what it is like to pilot the famous Flying Tank. More than a warbird, this Kingcobra’s NACA background makes it truly unique.